All I can say about these, is that they are the best chocolate chip cookie in the whole entire world! There is a secret ingredient…instant vanilla pudding mix, that makes these cookies extremely moist, chewy and cake-like. To me, these cookies taste like the inside of giant $2.50 Neiman Marcus chocolate chip cookie you can buy. The only difference is that the Neimans’ cookie has coffee powder in them. 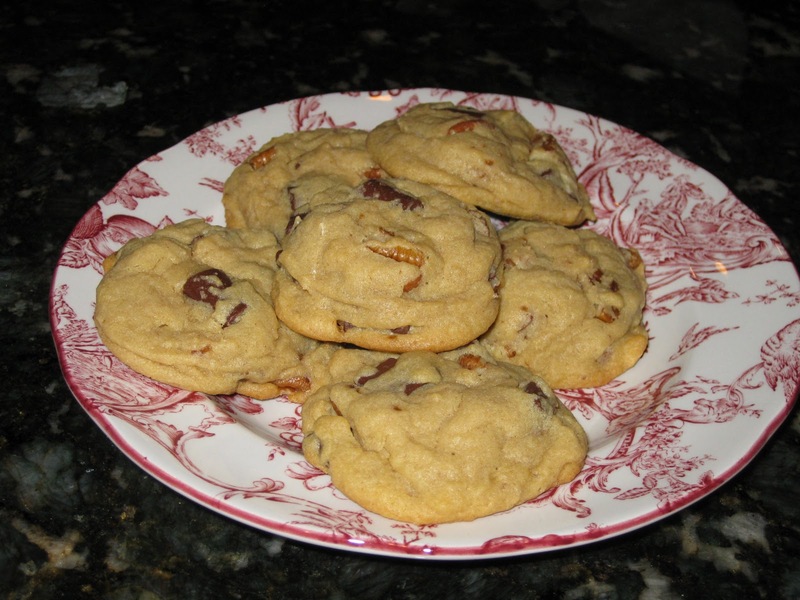 They are called Chocolate Chip “Dream” cookies in Linda J. Amendt’s “400 Sensational Cookbook”. 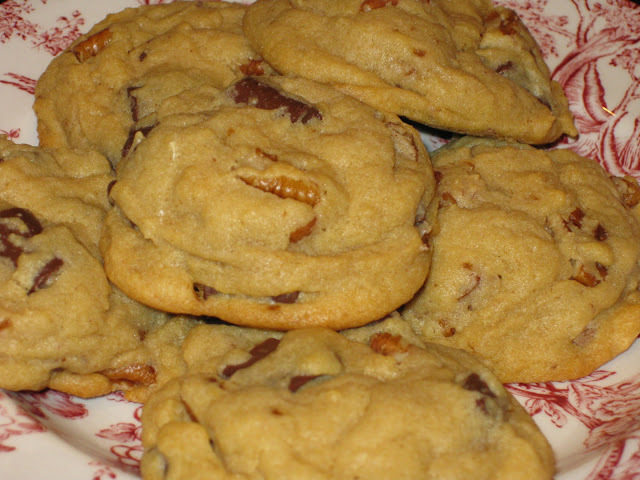 Amendt writes in her cookbook, “Dream cookies are a unique type of drop cookie… rich, moist, tender and chewy and loaded with flavor. 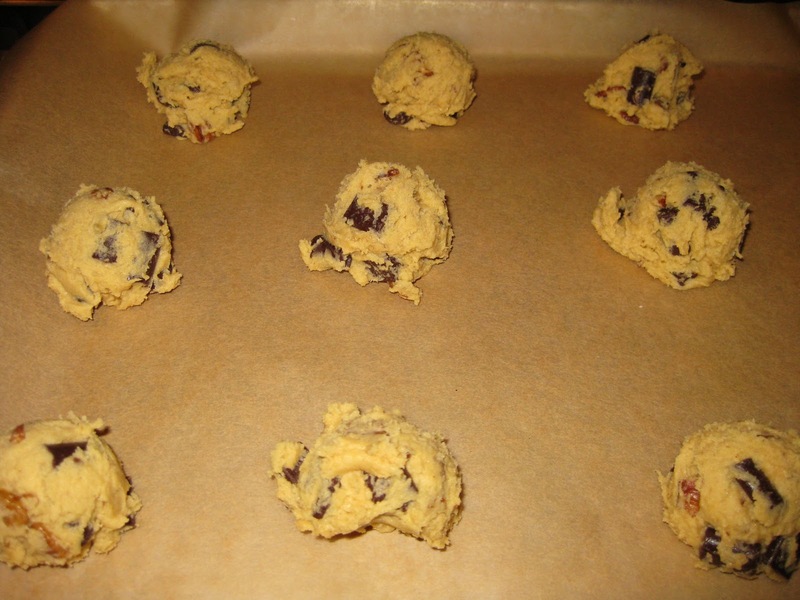 The secret to creating these wonderful cookies is the instant pudding mix added to the cookie dough. 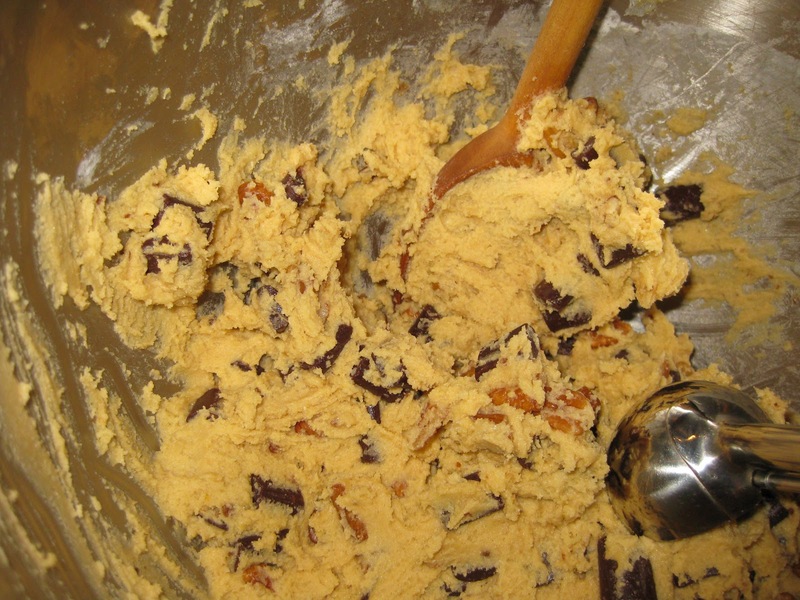 It not only adds flavor but gives the cookies their special texture and helps keep them moist…Because the instant pudding in the dough adds to the structure of the cookies, the dough doesn’t need to be chilled before baking…these cookies turn out better if you don’t chill the dough. They need to go in the oven before the pudding sets, which is what will happen if you chill the dough”. Amendt also notes that if you slightly under-bake the cookies, they will be chewy and delightfully gooey. If baked tad bit longer, they will have a moist, cake-like texture. *Please note… DO NOT use cook-and-serve pudding mix or sugar-free instant pudding mix, as they will significantly alter the flavor and texture of the cookies. The sugar-free pudding mix will make the cookies tough, flat, and will easily burn. Again, I LOVED these cookies and definitely plan on making more…. you will see! Enjoy! 1. Preheat oven to 375 degrees. Prepare cookie sheets lined with parchment paper. 2. In a bowl, whisk together flour, pudding mix, baking powder, baking soda and salt until well combined. Set aside. 3. In a large bowl, using an electric mixer on medium speed, cream butter, shortening, brown sugar and granulated sugar until light and fluffy, about 2 minutes. Add eggs one at a time, beating well after each addition. Beat in the vanilla. Scrape down sides of bowl. On low speed or using a wooden spoon, gradually add flour mixture, beating just until blended. By hand, fold in chocolate and walnuts. 4 Responses to "Chocolate Chip Dreams"